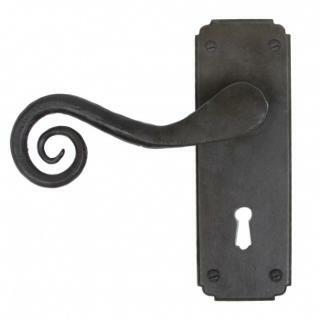 Handles are designed to fit standard British locks and come unsprung. Supplied with fixing screws and bolt through fixings. Sold as a set with spindle and fixing screws. 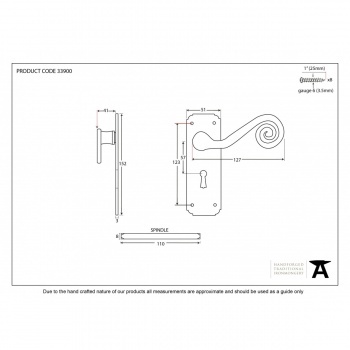 Our Monkeytail lock set compliements our range of Monkeytail door furniture. 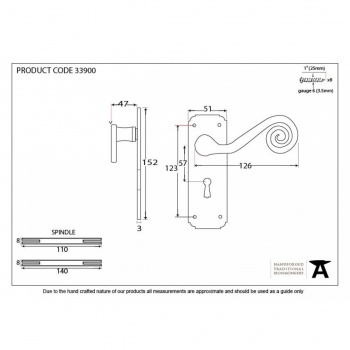 We recommend you use a Heavy Duty Sashlock SSS 2 1/2" or 3".